An eternity ring is a symbol of compassion, harmony and never-ending love, used to celebrate your happy marriage, and the years to come of it. They are typically rings that are set with diamonds and gemstones across the circumference, given to wives by their husbands on a significant anniversary. 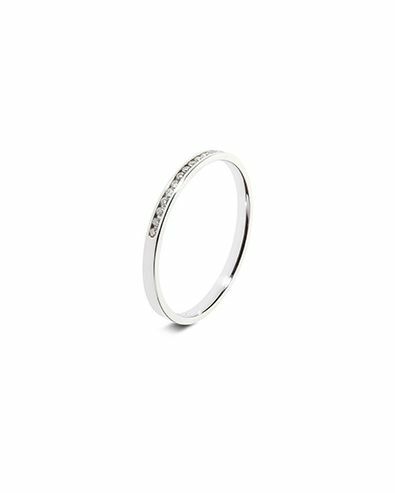 Many brides aspire to have their eternity rings within the first year of marriage, but at Orla James we believe that it is never too late to celebrate and share happiness. Our multi-set rings are typically no different from our full, half, or third set rings. They are however much cheaper, as they use less metal making it lighter and more comfortable around the finger. We also offer a variety of different set types, such as the claw and grain set rings that hold diamonds in place through the use of prongs, and also our channel set ring, which holds the diamond in place between two margins created by the ring metal. Our most popular eternity ring showcases milgrain patterns alongside the diamonds, creating a vintage and much more decorative appearance. 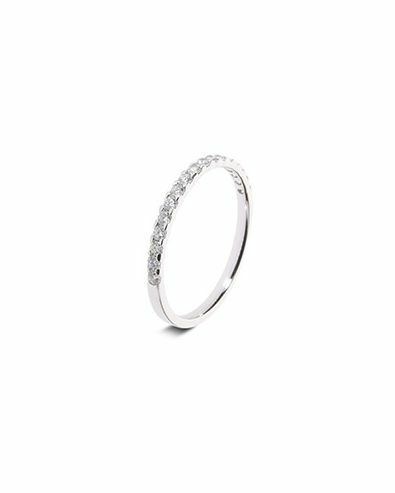 This ring also has a multi-set alternative, which features the same diamonds and patterns you’d find in other eternity rings, just with less metal quantity. If you have any questions regarding our eternity rings, or any of our other products, be sure to contact us via our live chat feature or contact page. Alternatively, you can call us on 01903 331707 and we’d be happy to help.